Xuan noticed that the new motel guest from Guang Zhou, Jing, kept to herself. She was a solo traveller who didn’t seem to care that she was in Hong Kong. She was lost in her thoughts, and had intended to end her life during that trip. Flooded by the past, memories and sadness, she only held her gaze long enough at a broken musical box in the motel. It was a gift from Xuan’s father, and it was enough of a conversation starter to offer for Xuan. He offered some sustenance, a simple meal. Then offered her more than just companionship or conversation. He offered empathy. He saw something in her that reminded him of his darkness and battle with depression. He knew that the hardest step to take is the first step, but the first step would always be towards the light. 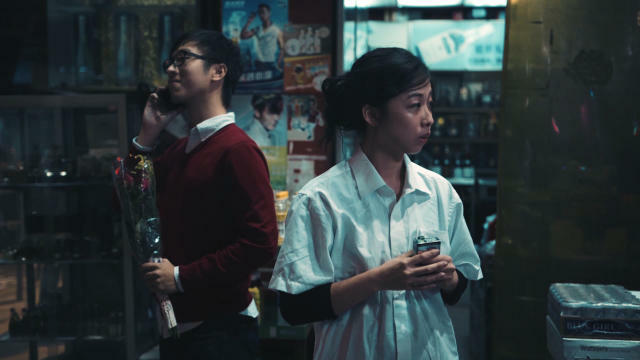 ‘Love Agenda’ is part of our Microfilm Production Support Scheme (Music) channel on Viddsee!